Hi, I’m Mikel and I’m and Indie Board Game Junkie. In case I need to reiterate: I love board games. From the feel of rigid chipboard game boards, to the smooth turned edges, to their custom box design and packaging, I could stay in a game store all day and lose track of time completely. In fact, last weekend I did exactly that. Twice. The intricate stories and plots fascinate me. The themes game designers choose. Fantasy or sci-fi? Cards or dice? The graphics…. You could almost say my least favorite part of board games is actually playing them. I mean, that’s the part I lose at. Repeatedly. But that’s just a testament to how much I love tabletop and board games. I want to make one. And until recently, I thought an indie board game was just a pipe dream. When I first started writing for Sunrise Packaging, I had no idea they made game boards and game boxes. So imagine my utter excitement when I did. I was freaking out, man! Luckily, I kept it cool. Professional. Only a few tears leaked out. Jackpot. I had been kicking around a few game ideas by then, but it had been a long hiatus since I designed a game. It was a card game called Darwin’s Moths, and it’s still a pretty fun playthrough. But the holy grail–an indie board game–still beckoned me. But it seemed so daunting. Stick to the cards, I told myself. But without any really inspiring ideas, I ended up taking quite the break. But since discovering Sunrise Packaging and being immersed in the physical realities of board game design, I’ve been reinvigorated. I’ve started hunting the white whale again. I’m pretty far off from a custom board game design, but I’m getting there. And it no longer scares me. When I realized the popularity of the indie board game on Kickstarter, I was emboldened. The majority of crowdfunded tabletop games seem to hit their goal and then some. And now that I’ve seen the practicality of getting my game made, board and all, it feels more real than ever. There’s a lot of steps before then, of course. Prototyping and playtesting, to begin with. This is where I really notice corrugated cardboard playing a huge roll in my personal life. 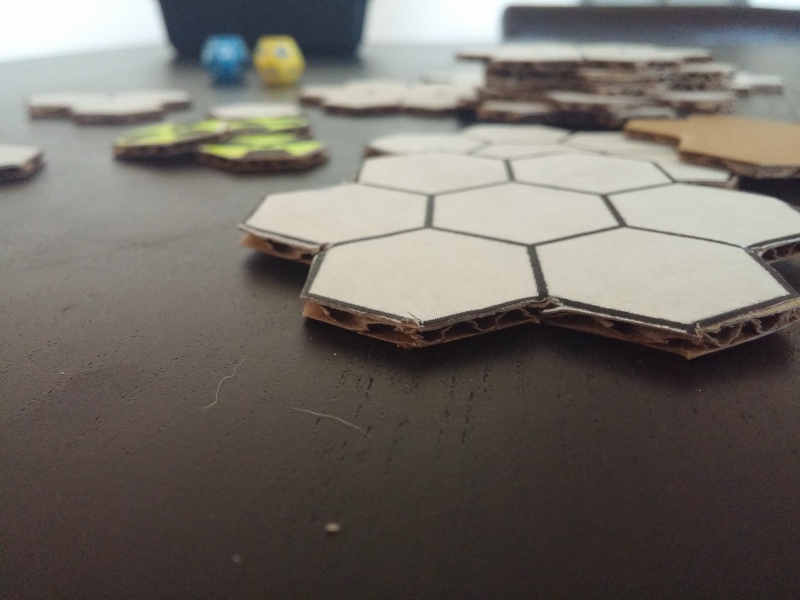 From cobbling together tokens, game pieces, cards, tiles, and even prototype game boards, corrugated cardboard is essential. It’s durable enough to hold its own, but cuttable enough that I can shape it the way I need it to. It’s recyclable, and customizable. 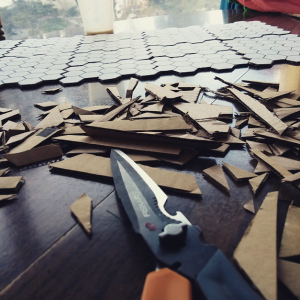 I’m not sure how other startup game developers do it, but I can’t imagine the process without a healthy dose of fluted cardboard. I guess if I had to make a point, it’s that the idea of making an indie board game feels within my grasp. More than any other passion I’ve pursued. Even writing a book–I thought the hardest part would be getting published. But relatively, that’s the easy part. But tabletop games are so in right now, it’s a great time to make that game you’ve always wanted to make. There are a lot of steps in the process, and hopefully I can share some of them with you as I go. 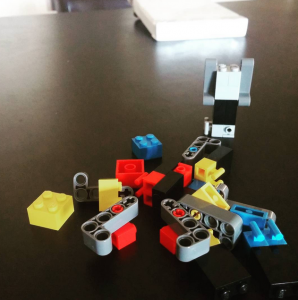 In the meantime, my custom Legos have arrived! Let the playtesting begin! Stay tuned!